From sophisticated swashbuckler to professional pirate, this gold-toned buttons, braid trim and decorative brocade lining and removable epaulettes makes you look the part. Versatile in its use, this is the perfect coat to show off your military prowess. This ornate layered coat is richly decorated with various textures of wool material and an array of multi coloured braiding. 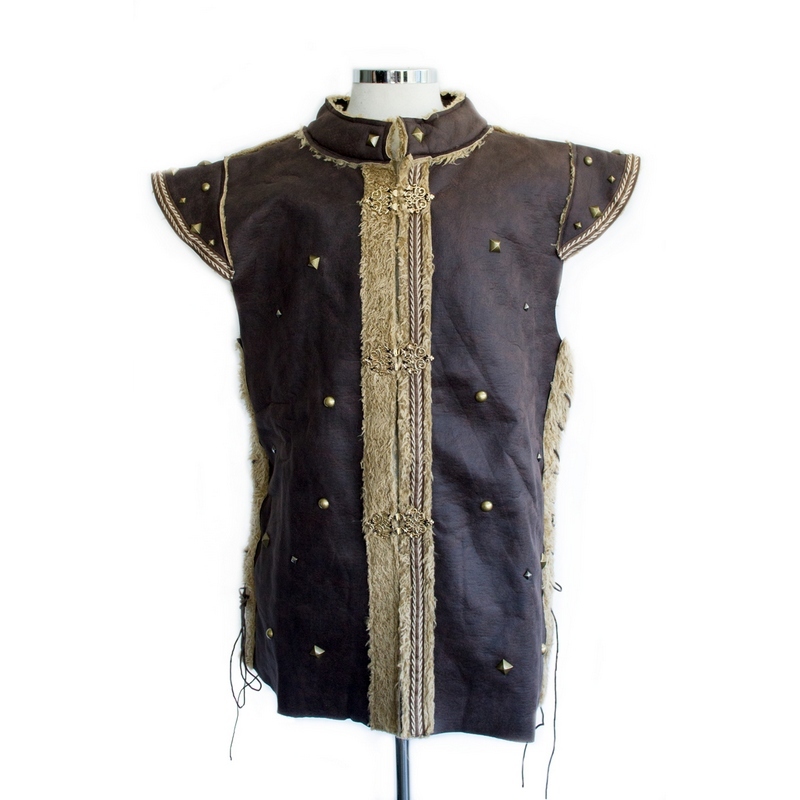 Featured a double layered front panel which fastens with horn style buttons. This item can be worn as a tunic or a coat it is a complete costume on its own. Suitable for all Medieval, Fantasy, or Cosplay Settings. This elegantly tailored Woollen coat is decorated with wide silver and black braiding suitable for higher ranking charcters. Long split at the back allows for a large range of movement. A large panel at the front allows for extra layers or a larger size. This versatile coat features a reversible panel, allowing the wearer to change their look from smart military to sophisticated tailcoat. Made of a warm woollen mix, this coat features gold-tone buttons, braid trim and a decorative brocade lining.